A collective of dedicated, wedding professionals – together we will make your day perfect! Inspirational, like minded wedding suppliers we love working with. Our partnerships, past and present, include One Fine Day , The Playbook Creative and WedShed. japonica is a member of the Professional Florists Association Australia. For the past 2 years we have been involved with this amazing wedding fair, which showcases a selection of Sydney’s most creative wedding vendors. 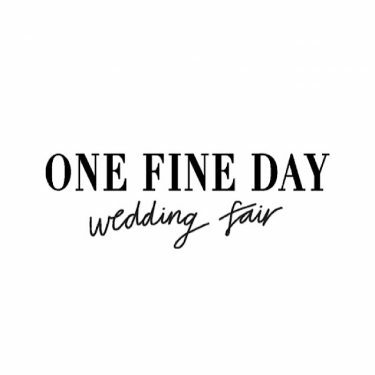 One Fine Day is a refreshing alternative to the traditional bridal fair. We love working side by side some of our favourite wedding industry vendors, and having the opportunity to showcase our favourite florals and chat with so many lovely couples. Established in 2007, japonica is well regarded in the wedding and event industry and known for high quality seasonal blooms, gorgeous design and great service. Formerly at Collaroy, we are now located in beautiful Beacon Hill, on Sydney’s Northern Beaches. We create floral loveliness for milestone celebrations – weddings, birthdays, engagement parties, christenings, and believe all occasions are worthy of flowers. Our experience spans 16 + years; we are qualified florists with both retail experience and extensive wedding and event experience. Our ethos incorporates creativity, effective systems, clear communication and professionalism. We work closely with local flower growers and wholesalers, and are influenced by the seasons, current fashions, contemporary design, overseas and local trends. We love social media, gorgeous print magazines and beautiful imagery. We see beauty in a simple vase of David Austin roses just as we adore an elaborate, oversized bouquet full of Mother Natures’ finest. Gorgeous fabrics, beautiful furniture, amazing locations provide constant inspiration. We have endless creative ideas, and we look forward to meeting, working with you and creating beautiful florals for you.